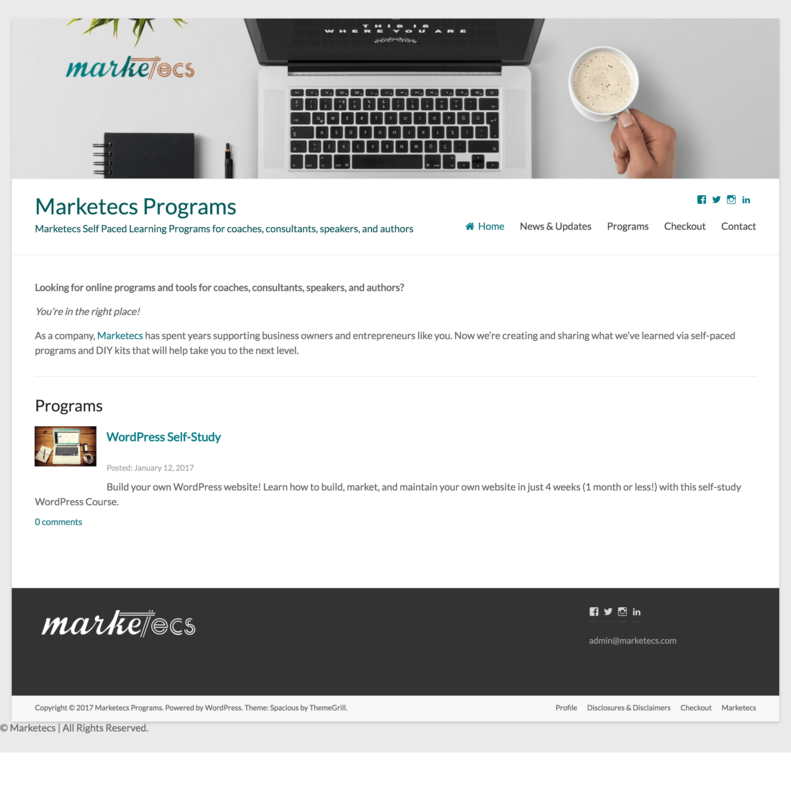 We created our own platform for delivering self-paced course content online. We used a sub-domain, installed WordPress as our Content Management System (CMS) and used LearnPress as our Learning Management System (LMS). Our intention is to continue to add new programs and courses that will help new coaches, speakers, and entrepreneurs with the skills and information they need based on our experience, at prices start-ups can afford. And as they grow and increase profitability, we hope that the information we have provided will encourage them to come back to us for additional support.